It doesn't seem like the US gets much respect these days on the world stage. Kind of reminds me of Rodney Dangerfield. Somebody is on our side though. Not that it is what I would call a stirring defense. JOHN Howard has lashed out at "old Europe", describing criticism of the US as "unfair and irrational", as global tensions grow over the Iraq war and free trade. During a vigorous panel debate on US global relations at the World Economic Forum in Davos, Switzerland, several European officials attacked President George W. Bush's Iraq policy, but Mr Howard stood up to defend his ally. "Some of the criticism (of the US) by some of the Europeans is unfair and irrational," Mr Howard said in the panel debate, organised by Britain's BBC TV. "I mean the negative mindset of the last five minutes (of this debate) is ridiculous - of course America has made mistakes," he said. I am not sure it sounds real good the way he says it but at least he is defending us. I find it refreshing at least some country is defending us. Not many are now days. I guess you make the hard decisions you pay the price. Well by my standards a New Year is about here. We brought the 2 year-old heifers home today to calve them. I'm mean and make them walk the 5 miles home. It's good for them. 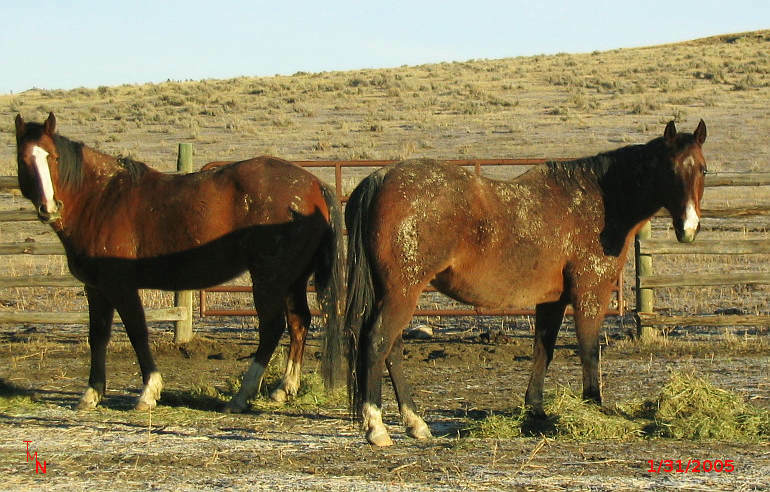 It has been so warm lately that the horses have been rolling in the mud and are filthy. It took a half an hour to get them cleaned up to ride them. The heifers gave us a little problems to start with and then they lined out and were homeward bound. They were doing really well but about halfway home the started to give us trouble again. We finally arrived and they settled down and started to eat their nutritious lunch we laid out for them. Long sleepless days and nights ahead. Fun stuff. It is amazing that our government can track a cow born in Canada almost three years ago, right to the stall where she sleeps in the state of Washington. They also tracked her calves to their stalls ... but they are unable to locate 11 million illegal aliens wandering around our country. Maybe we should give them all a cow. They keep talking about drafting a Constitution for Iraq. Why don't we just give them ours? It was written by a lot of really smart guys, it's worked for over 200 years and we're not using it anymore. The real reason that we can't have the Ten Commandments in a Courthouse ...you cannot post "Thou shalt not steal", "Thou shalt not commit adultery", and "Thou shalt not bear false witness" in a building full of lawyers, judges, and politicians. It creates a hostile work environment!!! Thanks to sometimes commenter Joe G for the e-mail with this one. I really like the Constitution one. The system out of control. At least it's in Europe, at the moment, and not here. I guess if you use the Al Capone example it could be extended here. A bank robber has been allowed to claim the Â£1,400 cost of the gun he used as a legitimate business expense. Business equipment for a criminal endeavor is a legitimate tax deduction. Tax revenue above morality, where is society going. A Thanks to J Walk Blog for this one. That headline really took me back for a minute. I remember the case. The thing that run through my mind though was "who was the victim?" Was the victim the dead person who wasn't cremated or was it the family? Reading the headline I got a picture in my mind of a bunch of dead people lining up to face the man. I guess it all depends on the point of view. The latest cattle inventory numbers for the US are out. They show the herd size bottomed out last year and is showing small gains in numbers this year. 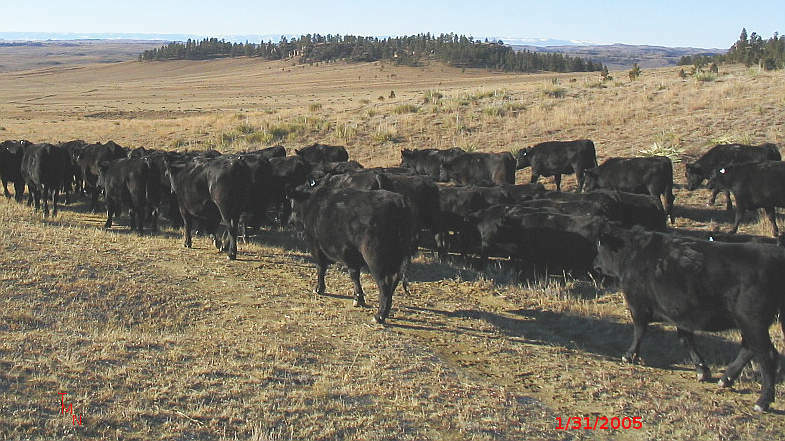 Total cattle inventories on January 1, 2005 were 95.8 million head, up one percent from 2004. This is still the lowest total U.S. cattle inventory since 1960. Heifer retention is also showing solid signs of taking hold so down the road a few years the cattle numbers will be up and herd expansion will be underway. 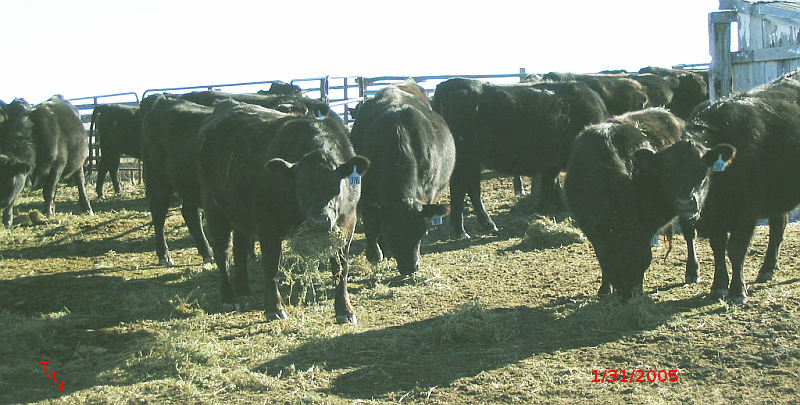 Heifer retention is indicated by a four percent increase in beef replacement heifers from a year earlier. 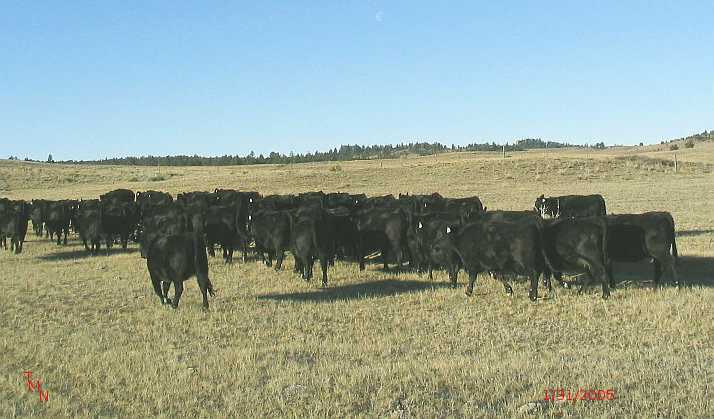 This follows a similar four percent increase in beef replacement heifers in July of 2004 and suggests that herd expansion is firmly underway in the U.S.
You might ask why this information matters? Simple law of supply and demand. Once the herd builds back up beef prices for the producer and consumer will go down. Good news for consumers, bad news for us producers. Don't except these things to happen overnight though. Cattle only have one calf a year and take two years to get in production. This is a long cycle for the cattle numbers to come up to make a large difference in price. This is interesting information to know. It gives me a time frame for when cattle prices are going to plummet again so then I know when debt will grow larger. I can make slight adjustments to the operation in expectations for it but most of it you just have to weather. Boom and bust cattle cycles, they will never end. I received this in an e-mail yesterday and thought I was going to die laughing. Thought I would share. The emphasized ones really apply to me. *You start talking to your dog in the front seat -- asking for advice. *Somebody mentions drinking from the bottle -- you think of Maalox. *You wake up at 3 a.m. and wonder if you have time to brew a cup of coffee before getting started. *You have an attack of road rage, between your house and the barn. *Your favorite horse starts to act like a horse with 20 days because you have sent enough mixed signals in the last 15 minutes to undue six years of training. *You sit in your favorite recliner for the first time in months, and watch TV for a couple of hours -- too tired to get up and turn it on. *Every calf you see sunning itself is immediately assumed to be dead. *You arrive at a social event and elect to sit in the driveway until the market report is over, even though you don't have any fats to market for 60 days. *You entertain thoughts of a total dispersion and doubling your herd size at the very same time. *Your wife suggests you take up chewing again, after persistently asking you to stop for 15 years prior to you finally quitting. *You take your wife's advice, buy a can of chew and find out you can't open the darn thing because you no longer have fingernails. *You put in a 40-hour week -- every day. *You can recall the morning when ol' "810" was born, but have to call your mother to find out when your anniversary is and how long you've been married. Five Bridger High School special education students who allege they were required to remove cancer-causing asbestos materials, mouse feces and a dead cat from buildings are suing Bridger school officials in federal court. Exactly why I want my boy at home being home schooled. Being unable to communicate well he would have a hard time informing me if something wrong was going on at school. What were these kids being taught anyway? Where do these things fall in the education criteria? Asbestos 101 for special education? It talks about how obese people are couch potatoes and don't move and lean people are fidgety and can't sit still. That makes me an exception to this rule. My Darling Wife gets so upset with me because I can't sit still. I am always moving around, shifting, pacing, and walking around. When in town I park way out in parking lots so I can walk to the store and at home I purposely park at the barn, hired men think I am abusing them, so I can walk back and forth to the house so I can "stretch my legs." It drives her insane. The last thing someone would call me is lean though. I am not proud of my weight but that's the way it is. I wonder how they explain someone like me who is fidgety and obese? Ah, if you don't fit the rules they just ignore you, I'll do the same thing to them. I so thank Wulfgar for bringing this to my attention. I didn't think a newspaper, especially one from Missoula, could print such common sense. SUMMARY:Legislators ought to repeal, not expand, law protecting some crime victims more than others. you suppose someone beaten bloody by a complete stranger feels less victimized than, say, a naturalized citizen who is beaten bloody by a complete stranger? Should it be less of a crime to murder a person of color than a white person? Of course not. Then can you explain why, under Montana law, it's a worse crime to murder a person of color than it is to murder some races than it is others? Neither can we. Don't think the line in the Montana Constitution that guarantees "No person shall be denied the equal protection of the laws" means what it says - that we're all equal in the eyes of the law? Montana legislators once again are debating expanding the state's "hate crime" statute. As it now reads, the law allows judges to impose tougher sentences on criminals who victimize people based on race, creed, religion, color and national origin. Now lawmakers are talking about adding gender, disability and sexual orientation to the list of special victims against whom crimes are to be considered worse than the crimes committed against other Montanans. Legislators would do more to advance the cause of equality by repealing, not expanding, the hate-crime law. Doing so would restore the constitutional promise of equality under the law. Do not misread or twist this argument into a question of whether we condone violence or discrimination against gays, the disabled or anyone else. We absolutely don't. But there's no way to treat crimes against some classes of victims as worse than others without effectively downplaying the importance of those other crimes. And, for what it's worth, it's also fallacious to suggest that criminals' true motives and undeclared biases are discernable with any consistency. Criminal laws logically focus on behavior. Crime prevention aims to prevent illegal behavior. How are we to prevent hate crimes, then? Surely it would be necessary to take the next step, which is to outlaw hate, which boils down to thoughts and emotions. Sounds like a job for the Thought Police. All of the offenses covered by the hate-crime statute already are against the law. If that doesn't deter offenders, making them against two laws won't either. This is feel-good legislation that, because it reneges on the constitutional guarantee of equal protection, shouldn't make anyone feel very good. This says it all. I have never figured out why a person of different skin color deserves more protection under the law than someone else. It never made sense to me. Don't get me wrong, hate law legislation will never be repealed because it is feel good legislation which never loses its appeal to the masses but it is nice to see a newspaper endorse such an idea. 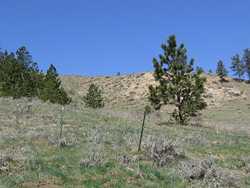 Our present , wonderful, Governor BS is so enamored with wind power that he proposed a while ago to require us in Montana to buy a certain portion of our electricity from wind power to jump start the industry. Well instead of government intervention to get things going look at what the free markets are bringing us. First we hear of a new wind farm project at Judith Gap and now there is a new project slated for the Glasgow area. Isn't it amazing what the free market brings along given enough time for the technology to mature and people who want to implement it and it can happen without government intervention. I wish people would remember this example when it comes to what they consider the miracle juice of the ages, ethanol. Senate Bill 291 introduced by Senator Don Ryan (D-SD 22) represents the greatest threat to homeschool freedom ever in Montana! * Require that students scoring below the 30th percentile on the test be evaluated for special education services. This bill must be defeated before it gains any momentum. The sponsor of the bill, Senator Ryan, is Chairman of the Senate Education Committee and has a great deal of power in the Democrat-controlled Senate. He introduced a bill last year which would have mandated state testing for homeschoolers. Due to your actions this legislation failed, but the new political environment has Democrats in control of the Senate, House of Representatives and the Governor's Office. We are in for a real battle! It is crucial that you contact members of the Senate Education Committee as well as your own state senator to express your opposition to this bill. This bill will probably be heard by the Senate Education Committee next week, possibly as early as Monday. Time is of the essence! I received this information this evening. As a homschooling parent I am taking what action I can. My Darling Wife is making a special trip to the Post Office in the morning to mail off letters to all members of the committee voicing our opposition to this bill. I have also e-mailed all committee members with my concerns. I am particularly concerned about the provision that we could not homeschool our autistic son. We have not officially enrolled him in school yet but our plan is to homeschool him starting next year. He responds very well to the one on one teaching enviroment available at home and I would hate to see it upset by sending him to a public school where he would be shuffled off to a corner and ignored. This bill scares me and I will be watching it closely. I have all ready heard back from Senator Gregory Barkus (Republican) saying he opposes the bill. Yay for the good side. Common sense prevails at Monatana's highest court, who would have ever thought such a thing could happen. A law requiring serial rapists to spend the rest of their lives in prison is not unconstitutional because it is based on a legitimate government goal of discouraging such repeated offenses and protecting society, the Montana Supreme Court has ruled. Protecting society? I didn't think judges felt that was important any more. Usually they are too busy protecting the criminal from society. What a change. Is this supposed to thrill me? Waste of time and money in my opinion. Thomas Paine was basically a blogger - in 1776. Martin Luther's version of blogs totally ticked off the Holy Roman Emperor, who issued the Edict of Worms banning Luther's writings. George Orwell was a blogger. So was Brian Lamb, the guy who started C-Span. Quite exalted company I am being compared to. Does that make me think I am like these people, NO. I fit a description later on in the story. The majority of blogs are of interest to only a bucketful of people. all alone and felling blue. It don't matter though, I enjoy doing this for myself, I just hope my bucketful of reader enjoy it too. This is what really irritates me about hunters. Cut your fence for their convenience. It might not be fair to lump all of them together for the sins of a few, but how am I supposed to tell the difference between the good and bad ones? Taken 4/22/2006.